The first recorded trade route exploration to the Orient across the top of the world was in 1497, when King Henry VII sent John Cabot off to an uncertain fate. While Cabot didn’t find the Northwest Passage, he did find Newfoundland and lived to tell the tale. By the early 17th century, many Europeans began risking all to search for the fabled passage, but few were prepared for the dangers they encountered in the forbidding environment of the North. In many cases the environment overwhelmed, and today there are shipwrecks throughout the Arctic that prove it. In 1632, England gave the Hudson’s Bay Company rights to the 2,702,715 mile (7 million square km) area draining into Hudson’s Bay. James Knight led an expedition of two ships, the Albany and the Discovery, on a search for gold and copper in 1719. His journey ended at Marble Island, where remains of his vessels were found in 1767. From the 1860s to the late 19th century, New England whalers often overwintered on the island. Illness, shipwreck and scurvy claimed the lives of dozens, giving rise to the nickname “Dead Man’s Island”. In 1845, Sir John Franklin led an expedition of two ships, the HMS Erebus and HMS Terror, to explore the Northwest Passage. Both ships became icebound in the Victoria Strait and all crew died. The Franklin Expedition has been a source of intrigue since, and many expeditions tried and failed to find the wreckage. 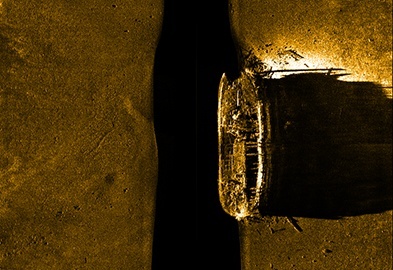 Three graves were located in 1850, and in 2014, the HMS Erebus was located through a combination of 21st century technology and Inuit oral history, which helped pinpoint the search site. The search continues for the HMS Terror. 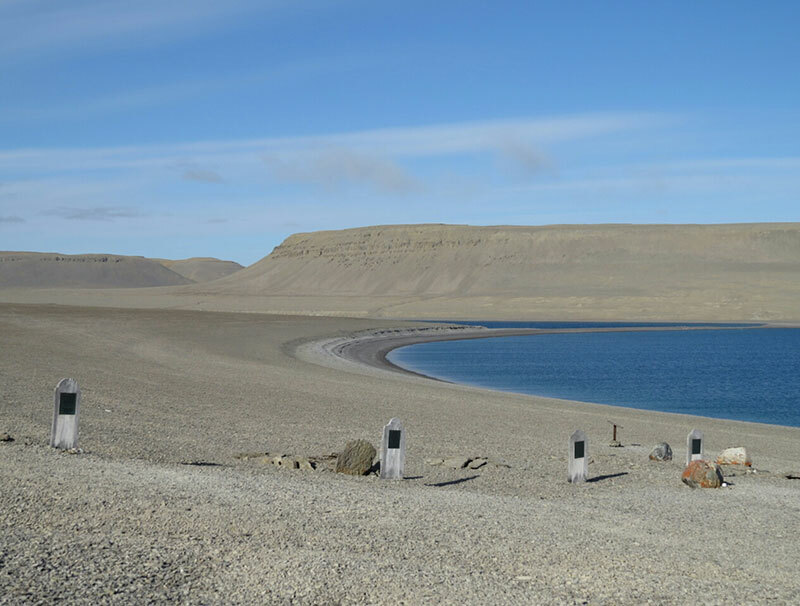 Beechey Island was a busy place in the 19th century. When the graves of three crewmen from the Franklin Expedition were found in 1850, the island became the jumping off point for subsequent explorations to determine the fate of the expedition. A forensic examination determined the men had died from severe lead poisoning, caused by the solder on the canned provisions used by the expedition. In addition to the Franklin Expedition, Beechey Island is the site of the HMS Breadalbane wreck, a supply vessel for ships searching for Franklin, which became crushed and trapped in pack ice. It sank to the bottom of the Barrow Strait in 1853 and is one of the most northerly of the shipwrecks in the Arctic. The Octavius left England for the Orient in 1761, and chanced a run through the Northwest Passage on its return to England. 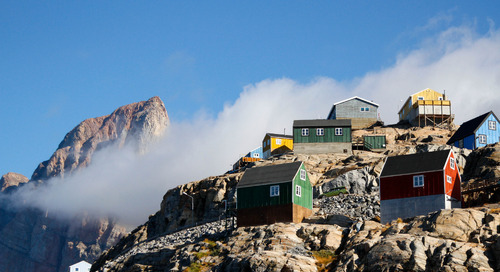 The ship was found west of Greenland by the whaler Herald, and was boarded in 1775 as it floated, seemingly abandoned. The boarding party discovered the entire crew frozen solid. The captain was still seated at his table, pen in hand and log book before him. The last entry was November 1762, meaning the ship had been drifting for 13 years, and may have completed its Northwest Passage voyage without a crew at the helm. One of the ships sent in search of the Franklin Expedition, the HMS Assistance participated in two arctic expeditions before becoming trapped in ice and abandoned in 1854. The United States wanted to be the first to the North Pole, and sent the USS Jeannette, a former British navy gunship. In 1879, Jeannette left San Francisco for the Bering Strait, but like many others before, she ended up encased in ice and eventually sank. The wooden-hulled Karluk, flagship of the Canadian Arctic Expedition, left for the Western Arctic in June 1913. By August, it was trapped in sea ice and drifted for months before sinking. The SS Terra Nova was a world-class traveler, having carried Robert Falcon Scott on his quest to be the first to reach the South Pole. The Terra Nova was then pressed into service carrying supplies to research stations in the Arctic when it was damaged by ice and sank off the coast of Greenland in 1943.